During the Summit a “Memorandum of Cooperation” was signed between Ukrainian and Polish companies on development and production of new technologies in aerospace industry. One of the sides of the agreement is a company Wyspa Kaszuby RT +90 Sp. Z o.o. engaged in building the third largest radio telescope (RT90+) in Bory Tucholskie. Ukraine has a big potential which is being unnoticed by Western Europe. “Strong economic position of Ukraine is in the interest of Poland as well as other European countries. 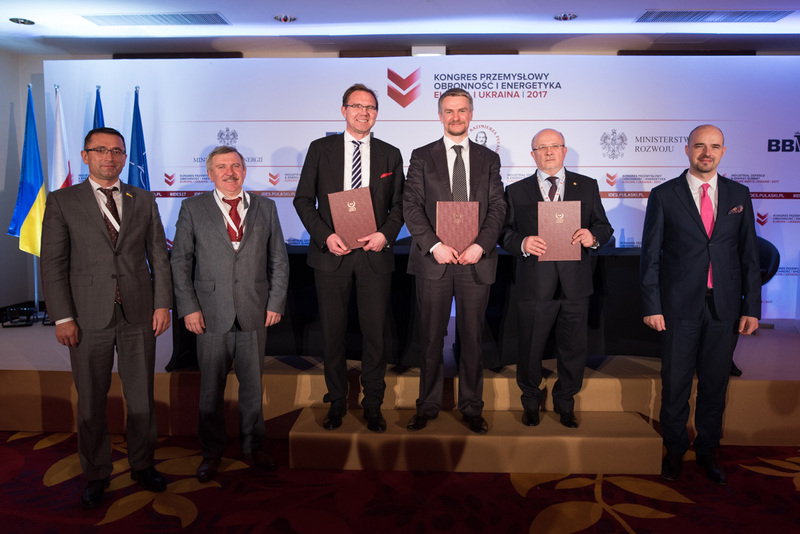 The agreement is part of the foundation of strengthening economic cooperation between Poland and Ukraine” – stated one of the representatives of signatories of the memorandum. “Economic and industrial cooperation on international level should not be only a domain of private sector and large transnational companies – it should be viewed as raison d’état and a challenge for world’s policymakers” – stressed the President of the Board of the Casimir Pulaski Foundation Zbigniew Pisarski in the opening statement. “Industrial Defence & Energy Summit. Europe meets Ukraine 2017” is an undertaking which aims for the development of political and industrial cooperation on international level. The first edition was devoted to Ukraine – a country of enormous potential, which has a lot to offer to the West and especially its partners in Central Europe. Cooperation of armament industries and their development in the Central and Eastern Europe region (CEE), as well as issues related to energy security, which evolves into ever more important aspect of the global security architecture, were disputed at the conference. Military representatives, decision-makers, high level administration figures and experts from around the world debated on how to foster bilateral cooperation between states and non-state actors in the industrial field. “Industrial Defense and Energy Summit. Europe meets Ukraine 2017” was organised by the Casimir Pulaski Foundation with Kochański Zięba and Partners law firm.